Wildfires continue to dominate the headlines in California and throughout our region. For some, fires are a hard-to-watch story on the news. 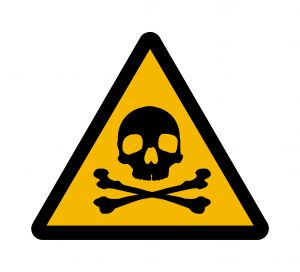 For others, they are a very present danger, a threat to property and well-being. Some wildfires are sparked by nature, but others are manmade. 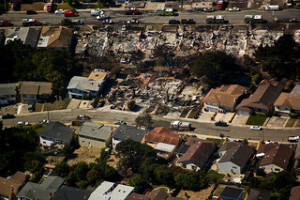 Our San Francisco fire injury lawyer represents people who are injured or suffer the loss of a relative because of a manmade fire. Attorney Brod and his team also use this blog to provide information that we hope helps prevent future tragedies. Today’s topic is fresh from the headlines — water heater fires. On Wednesday, officials with the California Department of Forestry and Fire Protection (“Cal Fire”) identified a faulty water heater located in an outbuilding as a significant factor causing one of our region’s massive fires. According to the Napa Valley Register, Cal Fire representatives said the gas water heater sparked one of two fires that eventually became the Rocky Fire. Flammable liquids in the outbuilding caught fire and then the blaze spread to nearby vegetation. The Rocky Fire consumed almost 70,000 acres, caused the evacuation of 13,000 residents, and destroyed 43 homes before it was contained late last week. Officials are still looking into the circumstances surrounding the fire and working to identify the cause of the second fire that became part of the Rocky Fire. In the future, we may be able to rely solely on renewable energy resources, but for now oil and gas are essential to the operations of our country and our state. These fuels are highly flammable and generally quite dangerous if not handled with the utmost of care. Although it is too early to identify a cause in Sunday’s refinery fire, many oil and gas accidents occur because an entity failed to respect these potentially hazardous substances. When a fuel processing or distribution accident leaves injuries and/or fatalities in its wake, our Oakland refinery fire law firm helps victims uncover the cause of the tragedy and pursue money damages from those responsible. On Sunday, as reported by The Contra Costa Times, a small fire struck the Phillips 66 refinery on the 1300 block of San Pablo Avenue in Rodeo, about 20 miles south of Oakland. The Phillips 66 San Francisco refinery was built in 1896. It has an 80,000 barrel daily crude feed capacity and a daily clean fuels production limit around 4.3 million gallons. Refinery staff and local firefighters responded when flames broke out around 3 PM. 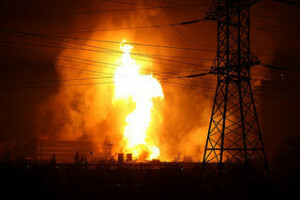 A company spokesman said no injuries were reported and an investigation is underway to determine the cause. It is, according to the newspaper, the first major incident since an overpressured water tank caused the release of chemical fumes in June 2012. In response to Sunday’s fire, Contra Costa County issued an alert advising people with respiratory sensitivities to stay indoors or avoid the area. ABC News reported that the advisory was lifted after two hours. A 2002 National Fire Protection Association (“NFPA”) report, “Petroleum Refineries and Natural Gas Plants” found that from 1994 through 1998 there were, on average, 228 fires at refineries and natural gas plants each year in the United States. Although this is an older figure, some evidence suggests that refinery safety has not improved. While observing the somber ten-year anniversary of the 2015 Texas City refinery explosion that killed 15 and injured approximately 180 workers, the Houston Chronicle found nearly the same number of workers died at U.S. refineries between March 2005 and March 2015 (at least 58) as did over the previous decade (64). A piece of data that is at once broader and a narrower than the NFPA figures comes from the Insurance Information Institute which found there were 18 major oil/gas fires and explosions in 2014 that claimed 40 lives. 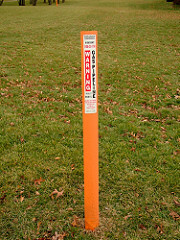 Oil and gas companies must be held to the highest of safety standards. Uncovering the cause of a refinery fire, pipeline explosion, or other oil/gas accident is critical to preventing future tragedies. Although both industry and government groups conduct their own investigations, civil litigation is an important tool for achieving the goal of prevention. Of course, these lawsuits can also provide compensation to the injured and/or grieving. If you or someone you love suffered an injury in an oil- or gas-related accident in Oakland, San Francisco, Sonoma, or the surrounding areas, our Northern California refinery accident lawyer can help. 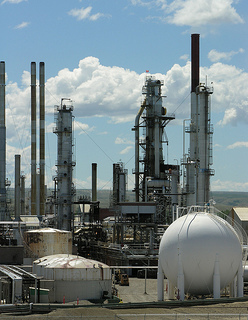 We also assist clients with refinery accidents in Central California. We can help you recover critically needed compensation and give added meaning to your loss by ensuring your tragedy is not forgotten and the lessons learned help prevent others from sharing your (or your loved one’s) fate. This September will mark the five-year anniversary of the massive San Bruno pipeline accident that killed eight and left dozens injured. Sadly, pipeline explosions remain a very real and very present threat as became all-too-clear to another California community on Friday. As a California pipeline explosion lawyer, Attorney Greg Brod stands ready to help when pipeline explosions cause injury and/or death. Our legal team strongly believes that holding companies accountable for pipeline accidents not only compensates the injured/grieving but also helps prevent future tragedies. It was just before 2:30 P.M. on Friday. At the Fresno County Peace Officers’ Range near Highway 99, deputies, a prison work crew, and others were hard at work. Suddenly, as reported by The San Francisco Chronicle (discussion based on version revised at 9:03 A.M. Saturday) the day turned from routine to unforgettable as an explosion rang out. Flames sprouted to the treetops, rising more than 100 feet in the air. The explosion and the intense heat it generated left at least 11 people injured and requiring hospital aid, including four in critical condition and two in serious condition.